Who has identified a concern about some aspect of the organisation’s practice or service. Complaints procedures encourage important feedback to the organisation – they help to promote good practice, improve services and inform planning for the future. Service users have an absolute right to have their concerns addressed without prejudice to their right to receive a service. Complainants have a right to be treated with respect at all times. Complaints will be dealt with as near to the point of service delivery as possible. Complaints will be dealt with as speedily as possible. When someone informs a member of staff that they have a complaint, the staff member will listen carefully to what is said and attempt to solve the problem there and then. If this is not immediately possible the staff member will inform their manager/leader who will take responsibility for handling the complaint. The person receiving the complaint will always record the details in writing. A copy will be retained by the project manager/leader and one forwarded to head Office for retention on the central complaints register. Receipt of the complaint from staff will be acknowledged. Staff will seek to establish what the person making the complaint wants to achieve by making the complaint. It is important that what the complainant would consider to be a satisfactory outcome is understood. Staff will use all reasonable means to resolve the complaint at project level. This does not meant that attempts will be made to prevent the use of the Formal Complaints Procedure. There is a mutual agreement that it is resolved and the person making the complaint withdraws the complaint. The complaint is considered to have been justified; either wholly or in part and the person who made the complaint is satisfied with the outcome. The complaint is not considered to have been upheld and the person making the complaint is satisfied with the outcome. The Project Manager/Leader will always record the outcome of the Informal Stage and a copy will be retained on the Central Complaints Register. If the complaint remains unresolved at this stage the person making the complaint can ask for it to be dealt with under the terms of the Formal Complaints Procedure. Writing directly to the Service Manager at Head Office. Your complaint will be delegated to the relevant Project Leader who will meet with you in order to hear your concerns fully. If your complaint concerns a Project Leader it will be dealt with by the Service Manager. You will receive a written response within 20 days of the complaint being received. A copy of the complaint will be held centrally in the Complaints Register which is kept separate from any service user records. Acknowledge receipt of the complaint in writing to the Complainant. Delegate the complaint to the appropriate Project Leader to carry out an investigation in accordance with organisational guidelines. Advise any member of staff who is named in the complaint and clarify their rights to representation. Notify the Service Commissioning Officer and/or Care Inspectorate as appropriate. A full written report based on the investigation will be produced. A written response to the complaint, which indicates the findings and recommendations contained in the report, will be provided for the complainant (and his or her representative if they have one) within 20 days of the complaint being registered. The written response will invite the complainant to state whether or not they are satisfied with the response they have received from the organisation. They should do so within 28 days of the date of the written response or the complaint will be assumed to have been resolved. There is mutual agreement that it is resolved. The circumstances which gave rise to the complaint have changed so that the original concern no longer exists. The complaint is considered to have been justified, either wholly or in part, and the person who made the complaint is satisfied with the outcome. The Service Manager will always record the outcome of the First Stage of the Formal Complaints Procedure and a copy will be retained on the Central Complaints Register. If the complaint remains unresolved on completion of the First Stage, the matter will be dealt with under the terms of the Second Stage of the Formal Complaints Procedure. This is known as the Review Stage. The complainant indicates that they wish to have the complaint reviewed by a more Senior Manager. The Service Manager will ensure that the complaint is reviewed within 28 days of the receipt of the review request. The Service Manager will review the findings of the initial complaint investigation and may also seek additional information from all parties involved as appropriate. The complainant and/or his /her representative will be advised of the outcome and any recommendations / actions of the review in writing within 14 days. The outcome of the review will be recorded and a copy will be retained on the Central Complaints Register. Should the complaint remain unresolved following the review stage the complainant may lodge an appeal against the decision with the Director. Consider the evidence gathered at the first and second stages of the procedure and review the complaint findings and outcome. During this period the Director may seek additional information as appropriate including meeting with the complainant and /or his/her representative as appropriate. The complainant and/or his/her representative will be advised of the outcome of the appeal and any recommendations or action to be taken within 28 days from the date of the appeal request. Throughout the process the complainant will be notified in writing should there be any issues with regard to meeting timescales for response. A very small minority of complainants may be treated as vexatious. The limited resources of G.A.M.H. and the time of its staff should be expended to a vexatious complainant only in limited circumstances to be determined by the Chief Executive. The following circumstances may be regarded as illustrative of conduct by a vexatious complainant. This list is not exhaustive or conclusive. Unreasonably persisting in pursuing a complaint where the Care Inspectorate Complaints Procedure has been fully and properly implemented and exhausted. Unreasonably changing the substance of a complaint, or continually raising new issues, or seeking to prolong contact by continually raising further concerns or questions whilst the complaint is being addressed. (Care must be taken not to discard new issues which are significantly different from the original complaint. These might need to be addressed as a separate complaint). Unreasonable refusal or failure to accept documented evidence of treatment e.g. from drug records, nursing records. Unreasonable refusal or failure to identify the precise issue which the complainant wishes to have investigated. Unreasonable and disproportionate focus on trivial issues. It is recognised that determining what a “trivial” matter is can be subjective and careful judgement must be used in applying this criterion. In preparing this section we have followed the guidelines as laid down by the Care Inspectorate. An outline of this policy can be found on display in all G.A.M.H. offices. 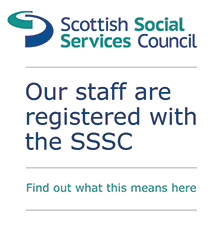 Copies of this procedure can be made available in languages other than English, as well as Braille, on applying to Glasgow Association for Mental Health, St Andrews by the Green, 33 Turnbull Street, Glasgow, G1 5PR.